Will go on sale in Japan in August 2016. The current, fourth generation Nissan Serena, introduced in Japan in 2010, is about to be discontinued. The fifth generation Nissan Serena will reportedly be launched in the company's home market in August 2016. 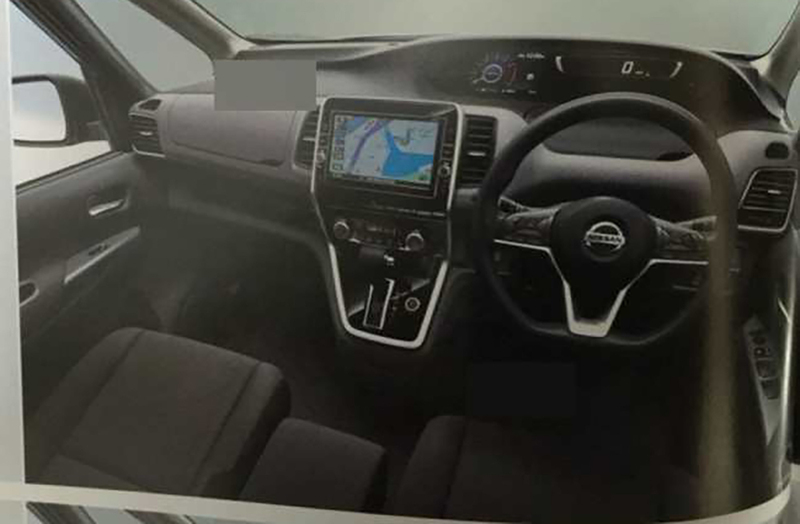 Soon after leaked images of its front-end appeared, the next-gen Nissan Serena has been completely leaked through brochure images that have surfaced prematurely on the web. The 2017 Nissan Serena will be available with a Rider package also. The brochure images have leaked both exterior and interior of the fifth generation Serena. Along with a remarkably more expressive front-end and a curvaceous profile, the Nissan Serena adopts a more conventional rear-end. Along with new taillights, a new spoiler and a redesigned tailgate and bumper round-up changes at the rear. Like the exterior, the interior is also completely new. Redesigned dashboard, instrument panel, centre console, HVAC vents and door panels and a new, flat-bottomed steering wheel refresh the interior. The infotainment system seems to feature a larger screen than the one in the fourth generation model. There's also a Rider package available that brings sportier exterior and interior in white or black theme. Like the exterior, the Nissan Serena's interior has also been completely redesigned for the fifth generation. Specifications of the next-gen Nissan Serena still remain a mystery. The current Nissan Serena is available as a hybrid-only offering. It's powertrain comprises the MR20DD 2.0-litre petrol engine producing 108 kW (147 PS/144.77 hp) and 210 Nm of torque in the the 2WD models or 106 kW (144 PS/142.09 hp) and 207 Nm of torque in the 4WD models, married to the SM23 electric motor that generates 1.8 kW (2.4 PS/2.41 hp) and 53.6 Nm of torque.